This charge of housing discrimination might seem like something of a peripheral matter, given core concerns about social media that relate to interference with democracy, terrorist radicalization and social polarization. But HUD’s charge takes direct aim at Facebook’s fundamental business model: the company’s digital advertising management platform and the algorithms underlying it, which collectively enable commercial entities to splice and select the demographic audience segments they wish to target with ads based on race, gender and politics, among other factors. That makes HUD’s lawsuit an important step at reining in online practices that can otherwise betray decades of important legal and regulatory progress in defending civil rights. HUD’s suit is the US government’s most potent legal and ultimately economic statement so far against the principal business model of the consumer internet — a business model that has enabled leading internet companies to become among the most profitable, wealthy and powerful corporations in the world. That business model relies on the uninhibited collection of personal information on each and every individual user of the platforms operated by these firms, including YouTube, Google Search, Amazon’s shopping service, and Facebook services such as the News Feed, Messenger and Instagram. The business model also relies on algorithms to develop behavioral profiles on individual users, to curate content in each user’s social feed, and — most crucially for turning huge profits — to target digital ads at each user most likely to appeal to that particular user. It’s this fundamental commercial regime that HUD has put squarely in the crosshairs with its suit. And, if these allegations yield reforms at Facebook that go above and beyond what Facebook recently accepted in order to settle a somewhat similar suit that had been filed against it by several advocacy organizations, commercial operators may no longer be able to use platforms like Facebook to engage in the type of micro-targeting that has yielded such great profits for the tech industry. That’s a good thing given that online micro-targeting as practiced till now has, in essence, facilitated an end run around legislation and regulation protecting civil rights by barring discrimination in areas like housing. Most critically, the government’s suit, especially on the heels of the company’s recent settlement, could prove a key push down a slippery regulatory slope for Facebook — and the rest of the consumer internet and digital advertising industry. HUD’s allegation that Facebook enabled discrimination through its digital advertising platform by allowing the targeting of racial groups, gender groups, religious groups and others means that, at a minimum, the company will have to become far more careful about how it designs and operates its advertising platform going forward. Vulnerable groups can be targeted not only through the clear and immediate designations made by advertisers, data brokers and ad platform companies like Facebook, but also by proxy; one can, for instance, conclude with fairly high probability that residents of a certain region might be of a certain race or religion and, similarly, that individuals with preferences in certain forms of media and entertainment are likely of a certain gender. So, as Facebook continues to operate and refine its advertising platform, the company will need to consider whether it’s directly or indirectly allowing advertisers to do what laws like the Fair Housing Act were introduced to stop them from doing. 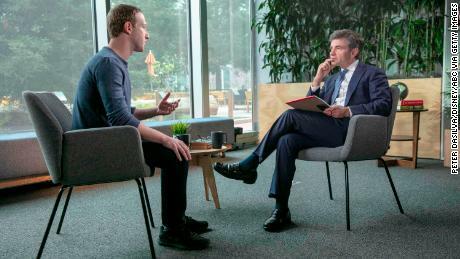 That’s a far cry from Mark Zuckerberg’s onetime mantra of “move fast and break things” — a departure that’s all for the best, given how much seems broken already in our digital age. Furthermore, it’s likely that other companies will also have to factor the HUD’s lawsuit into future product design. Given ongoing HUD inquiries into advertising practices at Google and Twitter, it is quite possible that the Trump administration will bring enforcement actions against other firms across the digital advertising sector. And the pressure to change the fundamentals of how these platforms operate could go far beyond the use of data for ad targeting that’s the subject of HUD’s allegations. Twitter responded to the inquiry and told CNN Business it doesn’t allow discriminatory advertising on its platform, while Google said it prohibits ads based on “sensitive” categories including race, ethnicity, religion and disability. Ever since the revelations that Russian disinformation operators leveraged platforms like Facebook and Twitter to mislead American voters throughout the 2016 presidential campaign, the pressure has been mounting, and with the 2020 presidential campaign in full swing the industry’s patchwork of post-2016 reforms may begin to look insufficient. 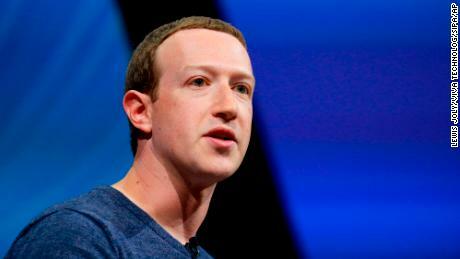 Facebook disabled the capacity for advertisers to pipe information from data brokers into Facebook’s ad-targeting platform, in an apparent response to criticisms of how that capacity can be abused. But there were still notable attempts at election interference in the 2018 midterm elections, with Russian tactics shifting in emphasis away from social media accounts with massive followings and toward greater numbers of accounts, each with smaller followings. All told, HUD’s allegations amount to an overdue direct challenge to a core aspect of the tech industry’s business model. There’s good reason for that challenge: By facilitating the spread of disinformation, exhortations to violence and more, that business model has seemed on a collision course with the flourishing of our democracy and even our national security. It’s telling that, just two days after HUD filed its suit, Zuckerberg penned a rare op-ed in The Washington Post, inviting government regulation. Zuckerberg called for clearer guidance from government about harmful content, election integrity, privacy and data portability. If HUD has its way, companies like Facebook will need to address a more fundamental intervention by the government: one that reorients the business model that sits at the heart of the consumer internet, a business model that has repeatedly contributed to challenges to our democracy That’s what we need if we are to preserve vital civil rights protections in the digital age.